The New York Civil Liberties Union is asking the state’s Supreme Court to appeal a recent decision declining the release of further details about the grand jury investigation concerning the death of Eric Garner. On Tuesday, the NYCLU filed an appeal asking the Empire State’s top court to reconsider its request from last year for transcripts, juror instructions, evidence details and other information relevant to the grand jury proceedings conducted in the wake of Garner’s death last August. State Supreme Court Justice William Garnett ruled against the December request this past March, saying that the NYCLU lacked standing to ask the court to unseal the grand jury records. In the motion filed this week, however, the civil liberties group argues that disclosure must be made, especially in light of recent events in which allegations of police misconduct have raised questions about law enforcement tactics employed from coast to coast. “First, disclosure is necessary to remedy the blow to public confidence in the criminal justice system caused by the grand jury’s failure to hold any officer responsible for Mr. Garner’s death,” NYCLU attorneys write in the appeal. 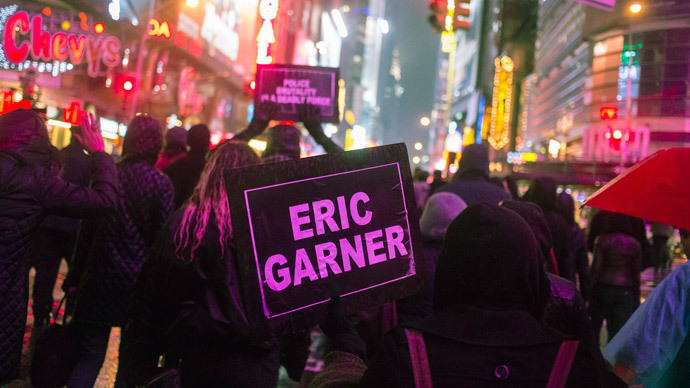 Garner died last August after being placed under arrest by New York Police Department officers. Video footage of the incident captured the man gasping, “I can’t breathe,” while being put in a chokehold. A grand jury ultimately declined to indict any of the NYPD officers in his death, prompting NYCLU and others to ask questions about the proceedings. The grand jury documents concerning the hearing remain largely under seal to this day. When Garnett rejected the NYCLU’s previous request, he wrote that the plaintiffs had failed to establish a "compelling and particularized need" for the release of the grand jury minutes. He also agreed with prosecutors who said that disclosure could put the safety of witnesses at risk. "What would they use the minutes for? The only answer which the court heard was the possibility of effecting legislative change," he wrote. "That proffered need is purely speculative and does not satisfy the requirements of the law." Coupled with the recent highly publicized officer-involved incidents that have involved the deaths of Freddie Gray in Baltimore, Michael Brown in Ferguson and many more, Garner’s case has amplified calls for reform in policing practices within the United States.